For additional information about this book, visit the website helloamericamemoir.com. 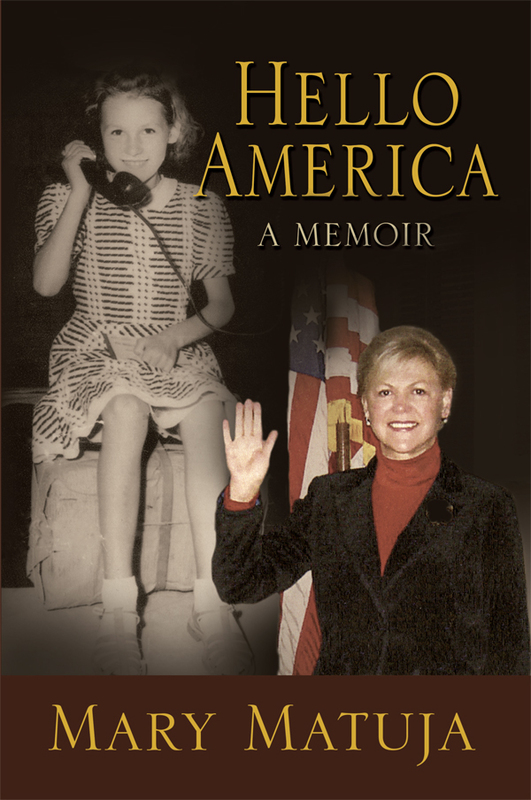 In Hello America, a historical and heart-rending memoir, author Mary Matuja recounts her harrowing experience as a young girl in WWII Nazi occupied Czechoslovakia, how she came to be an American, and ultimately a city Councilwoman and a Mayor Pro Tem In Roseville, Michigan. Until her solo immigration to America when she was ten, to meet a mother she had never known, Mary had been living happily with her grandparents in Certizne, a rural Czechoslovakian village without plumbing or electricity, until the bombs started. Then her whole village spent their days hiding in the only root cellar that existed, with the children huddled around the edges in case a bomb landed in the middle, that they might survive the impact. Bored and daring, Mary crept out to run in the grassy hills, and accidently orchestrated her family's courageous escape by befriending a Nazi soldier and bonding over chocolate. Filled with first-hand accounts of war, loss, and bravery, Hello America brings an unprecedented bold and childlike perspective to the WWII narrative. Mary's immigration story, beginning with her primitive and treacherous childhood, moving into her years of adjustment and assimilation with her new family in America,and ending with a personally and professionaly successful middle class life in suburban Detroit is the perfect example of the American Dream.